PearDeck – Create interactive presentations with student feedback. Create “take aways” about how students respond – good for study guides or teacher planning. 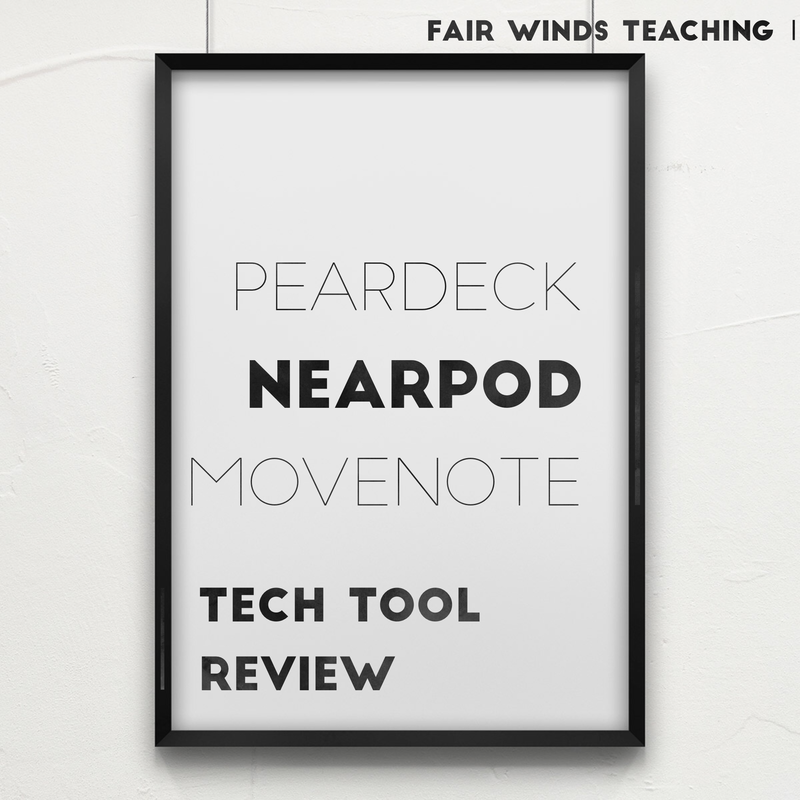 After testing all three out, I really only liked PearDeck and MoveNote; and didn’t care for NearPod as much, I think I need more training/exploring. I can’t wait to use MoveNote with my students and parents. I think it would be a great way to communicate lessons to students who miss work or as an independent activity while I am pulling reading groups. Almost like a flipped classroom, I would be able to create a lesson for them to listen to while they are completing their work at their desks. I then thought of another great way to use MoveNote, last week I did a training on Twitter, however, an educator in the session had to leave for an emergency. She has since asked if I had the link to the Google Slide presentation. I did have the presentation, however, I thought I would also send her a MoveNote for her to follow along with the presentation. Here is the Move Note I recorded called Twitter for Teachers_Keenan. A couple things I didn’t like about MoveNote is that you aren’t able to upload to YouTube to add to your channel and that you can’t edit the recording; you have to either start over or pause. I also really liked the program PearDeck. I uploaded my presentation for this class and had my husband sign into the presentation and follow along. I think this will be great for my staff to use for this PL I will be doing on assessment tools. They will be able to log on and follow along during my presentation. I also love that I am able to stop the presentation and add questions or other features like drag the dot. I was already able to use this new tool today to pair up with my colleague to practice our webinar on Financial Literacy scheduled for this Wednesday. It was easy to upload and share the code out to the people I needed to in a hurry. The tool I don’t see myself using right now is NearPod. I think I might need more training materials or time to explore this tool. I didn’t find it user friendly and I thought it would be a little better for students, not training other teachers.